Dogs who show fear or anxiety when faced with loud or sudden noises should be routinely assessed for pain by veterinarians, a new study has found. When animal behavioural scientists from the UK and Brazil examined cases of dogs with a sensitivity to either loudness, different pitches, or sudden noises, they found those with subsequently diagnosed musculoskeletal pain were more sensitive to noise. Their findings—which were published recently in the journal Frontiers In Veterinary Science—suggest that pain, which may be undiagnosed, could be exacerbated when a noise makes the dogs tense up or ‘start’, putting extra stress on already enflamed muscles or joints, causing further pain. 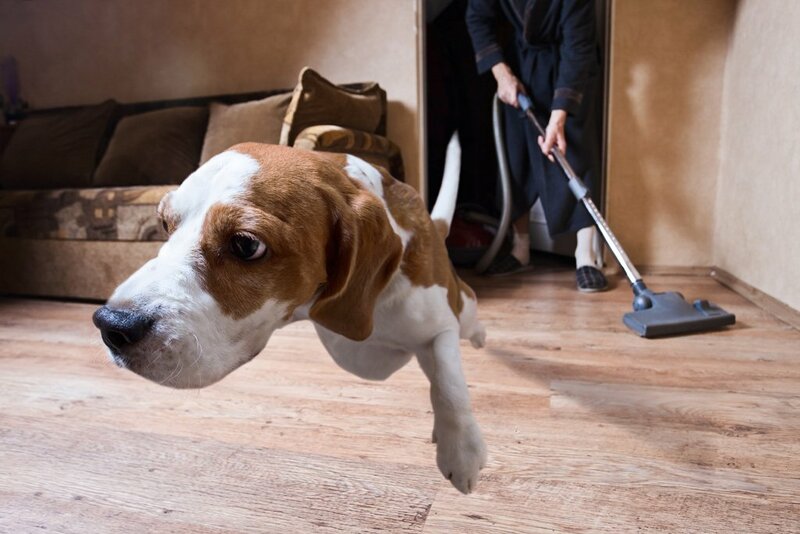 The dogs then associate that pain with a loud or startling noise, causing them to develop a sensitivity to noise, and to avoid those places where they’ve had bad experiences with noise, for example, a noisy local park, or a louder room in the house. The researchers said that veterinarians should ensure that all dogs with behaviour problems associated with noise receive a thorough physical examination to see if pain could be a factor in their fear or anxiety, so that undiagnosed pain can be treated, and any behavioural issue tackled. All those dogs with pain in the study who were treated showed an improvement in their behaviour.